Our customers can and must rely on efficient and quick responses to their requests. This is and remains our claim. 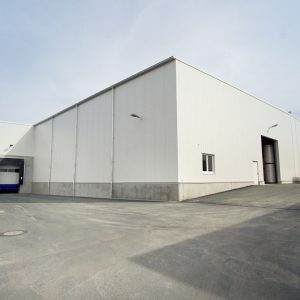 With the fusion of the Hecatec GmbH & Co. KG and the Temca GmbH in May last year, we have now a central company location with our own production plant in Pölzig, Gewerbegebiet. 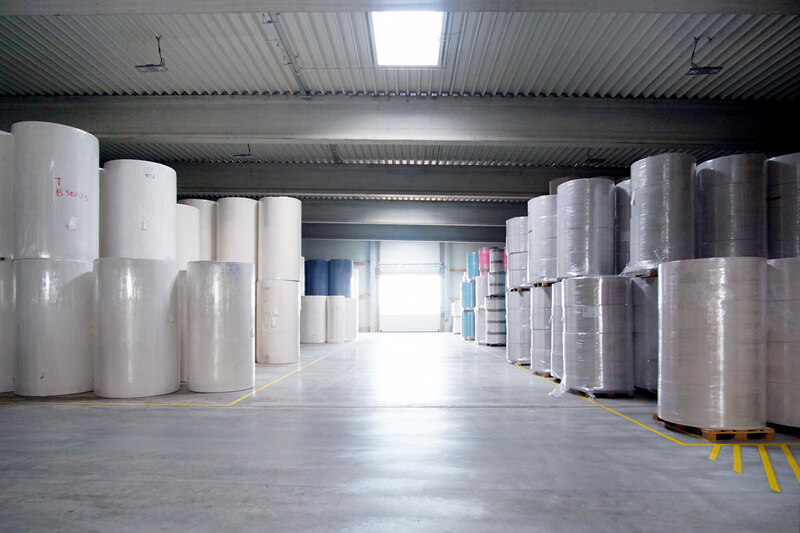 All the business areas of the Temca GmbH &Co. KG, from the management to the logistics, are now under the same roof. Not only, we have also extended our storage capacities. 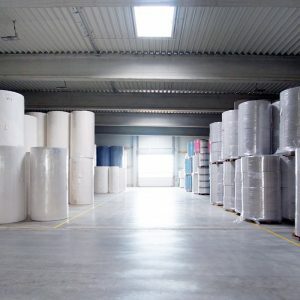 With our new storage on 4.200 sqm, we now have the possibility to process a higher volume of orders, to stock a larger quantity of raw materials and to be more flexible and faster in the order processing. 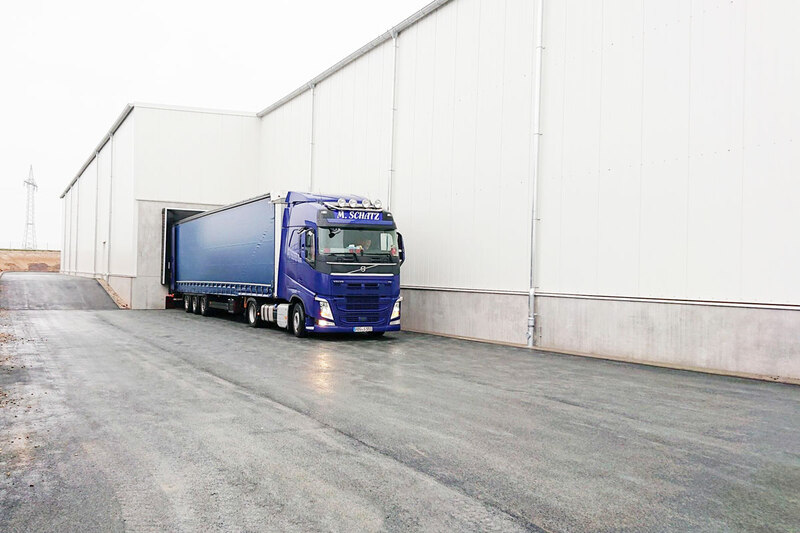 The new construction means not only improved storage capacities, but also a better planning of the raw materials and a solid support for our production. Five gates for incoming goods, as well as an asphalted drive for trucks all around the new hall, arrange for optimized logistics processes. We are delighted to have created the conditions in order to keep growing steadily and to offer to our customers the best possible service. Do you have any request or are you interested in a certain product? The TEMCA-Team is at your disposal to advise on any question about our Temca-World. Just call us at +49 36695 322-0 or send us an e-mail to info@temca.eu. Here you can always find the right contact person. According to the World Health Organization, up to 80% of all infections are spread on hands. In places where people meet, the risk of infections is particularly elevated. In order to avoid it, a regular hand hygiene plays a major role. In addition to a careful hand washing, the proper use of disinfectant dispensers reduces drastically the transmission of germs and chains of infection can be this way efficiently stopped. Hand disinfection is in the health care and in the food sector even a legal obligation, both for self-protection and in order to minimize any dangers from outside. Particularly in times of high viral or bacterial load, disinfection provides also in high-frequented spaces a preventive protection: medical offices, schools, nurseries or any other public institution are considered contamination hotspots. With the intuitive and touchless control, our TEMDEX ts 500 disinfecting dispenser is ideal for the daily and hygienic hands disinfection. Indispensable as effective measure to avoid the transmission of pathogens particularly in hospitals, labs and care homes, as well as in the food industry. Thanks to the touchless control, contaminations on the dispenser are avoided, including any spread of germs and bacteria. The dosing system, adjustable in three different levels, completes the easy, efficient and safe use. Long lasting material, which is easy to clean, a quick wall-mounting and the optimal dosage provide a simple hand hygiene with a great efficiency. You can find more information about the different versions here. A turbolent year is drawing to its end. Looking back at a successfull business year, we want to express our heartfelt thanks to You. In these unsteady times, longstanding, inspiring and constructive business relationships should never be taken for granted. Even more, we are really honoured of counting You among our customers and partners. A huge thank you for Your confidence in our services and products. It goes without saying that we are going to keep being at Your disposal in 2019 as well, as Your personal specialist for the industry and washroom hygiene, as well as for medicin and dental needs. Our whole Temca-Team wishes you a pleasant Christmas Time and happy holidays. Enjoy New Years’s with your families and friends, find the time for a glance inward and forward. We look forward to starting a vibrant new year with you! From 12th to 15th November, Düsseldorf becomes a stage for the world’s most significant exhibition in the medical sector. The Medica 2018 promises four days of high-concentrated expertise: more than 5.100 exhibitors from 70 countries present their products and news on a huge exhibition area with 17 halls. In the last 40 years, the Medica has become a world forum and a communication platform of the international medical business; moreover, it is a “must” for exhibitors, visitors and the top-decision makers of the sector. The world’s leading exhibition has been setting important benchmarks and is always looking for new challenges in the healthcare sector. 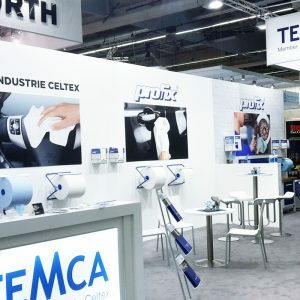 In parallel with the exhibition, also the “MEDICA conferences and forums”, as well the COMPAMED, the international leading trade fair for suppliers of the medicine technology, are taking place. Join us in Düsseldorf, when the Who-is-Who of the healthcare sector meets! We invite you to visit us at our common stand “Thüringen c/o medways”. 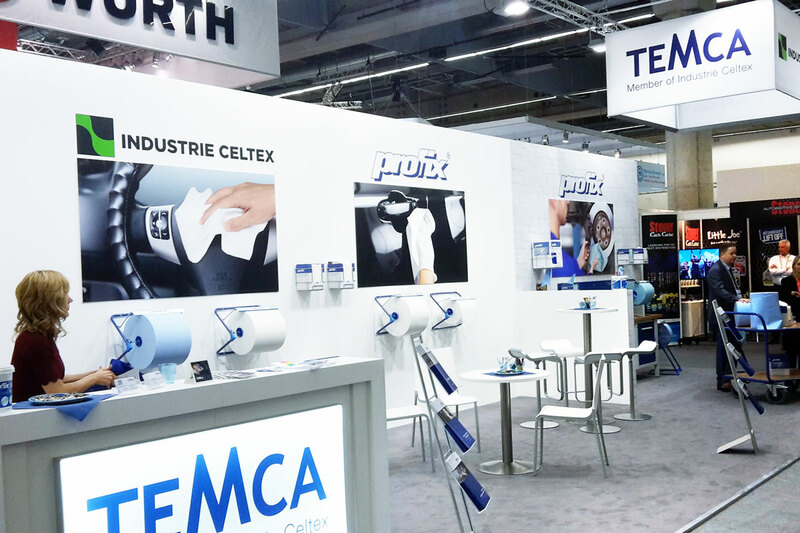 We are delighted to present you our product world directly on site, such as our TEMDEX touchless disinfection dispensers. High-quality materials, intuitive handling and efficient dosage make the product an essential hygiene-tool in highly frequented areas, like in care and medicine facilities. 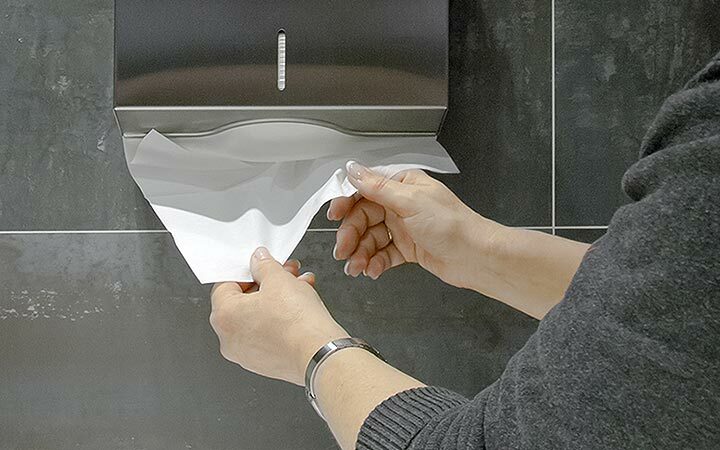 The easy and touchless handling avoids the contamination of the dispenser and the consequent proliferation of germs and bacteria. We would be pleased to answer your questions. You can find us on in the Hall 15 / Stand E21. We can also arrange a personal appointment in advance. Just write us an e-mail or call us at +49 36695 322-0. For further information and the hall plan, please visit the Medica website. Five exciting days at the world´s largest exhibition of the automotive sector are now behind us. Once again, it could be confirmed how precious personal contacts, intensive talks and professional dialogues are. A sincere thank you goes to our customers, partners and visitors, who visited us at our stand on the 25th anniversary edition of the Frankfurter Automechanika 2018. Thank you for your confidence in our services and products. In case any question remained unanswered or if you just wish any information about our products, do not hesitate to contact us. Here you can find your direct contact persons. From 11th to 15th September 2018 the Frankfurter Messe hosts the international leading exhibition of the automotive industry for equipment, parts, accessories, management & services. 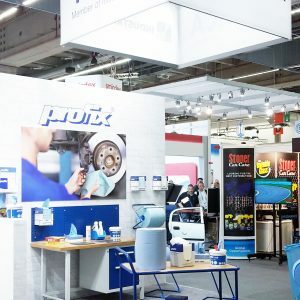 The Automechanika exhibition, which is takes place every 2 years, enjoys a very high reputation by exhibitors and trade visitors from the industry, trade and workshop sectors. In the previous edition, the most important automotive platform in the world attracted 133.000 visitors from 170 countries. 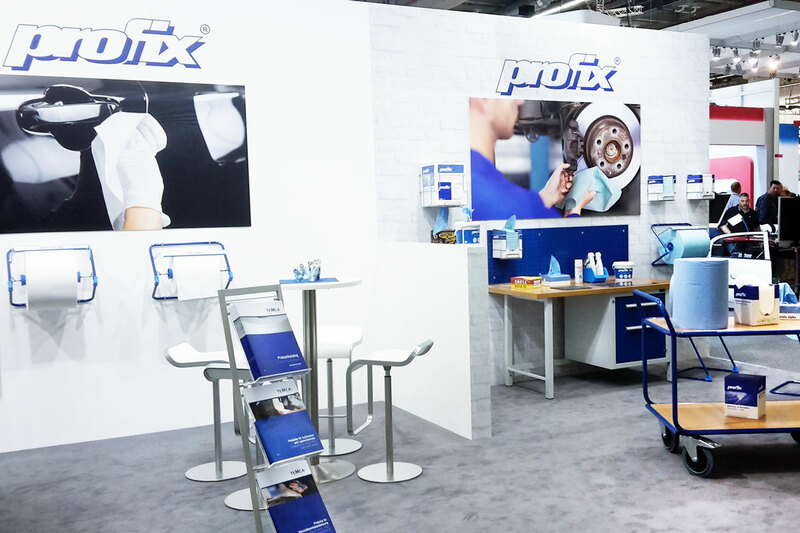 This year, the Automechanika celebrates its 25th anniversary with new themes, such as the Classic Cars and the REIFEN trade fair, which has previously been held in Essen and is now for the first time co-located with Automechanika Frankfurt in Hall 12. 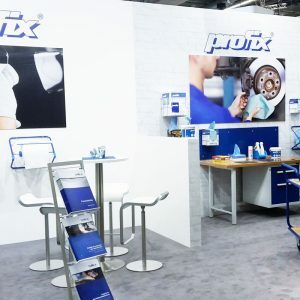 Together with almost 5.000 exhibitors, the Automechanika represents also for us a very significant appointment, an important forum, where we will present ourselves as hygiene-experts with a wide product range of special wipes for the automotive sector.\r\nWhether the all-round wipe like profix strong as absorptive wipe for oil, fat and lubricants, our resistant polishing wipe profix venet light, the profix escon crêpé as degreasing wipe in paint shops, or our profix polywipe for removing insects and for the cleaning of rims – our versatile products and specialized trade-marks are conceived to face the highest requirements of the sector. Moreover, our sales team will advise you on the suitable dispensers and wall supports directly on site. We look forward to meeting regular customers, distributors and business partners from Germany and abroad in our stand in the Hall 11, stand B43 and we invite prospects and new contacts to get to know to our TEMCA-world. The Hecatec GmbH & Co. KG and the Temca GmbH GmbH are now merged and operate under the name TEMCA GmbH & Co. KG. 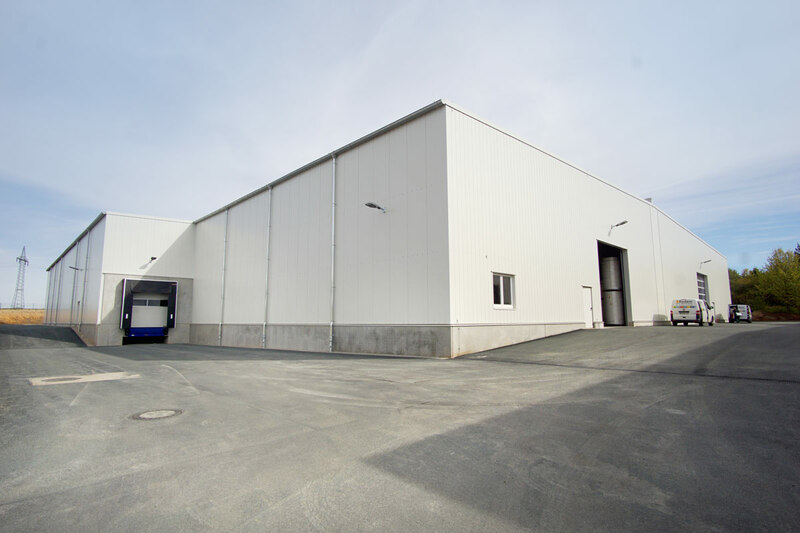 From the management to the production and logistics, up to the sales and service teams; all sectors are now under one roof. In this way, from now on our operating fields will be centrally controlled from our headquarters in Gewerbegebiet, Pölzig, optimizing all the production and work-processes. 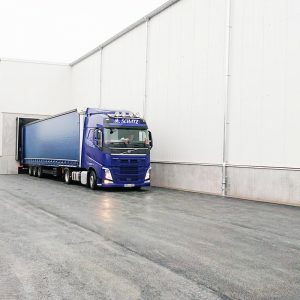 Thanks to the transfer of technologies, know-how and the pooling of resources of both companies, we will be able to respond more efficiently, faster and more flexibly and to process your orders in an easier way. All the contracts and agreements concluded with you shall remain valid in unmodified form. Furthermore, the address, which was known to you before the change of name, remains unaffected. Please note that in addition to the change of name, also some master data have changed, i.e. the registration number and the VAT number. We kindly ask you to update them in your database. Our address and our contact persons remain unaffected. You can find the most important information in our imprint. If you have any questions, feel free to contact us. We look forward to continuing our good and successful collaboration with you! 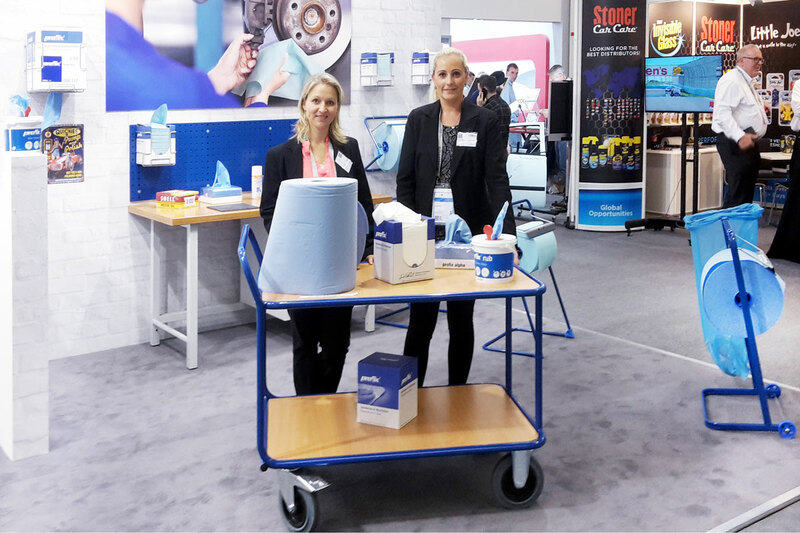 Thank you for your visit at the Interclean 2018! 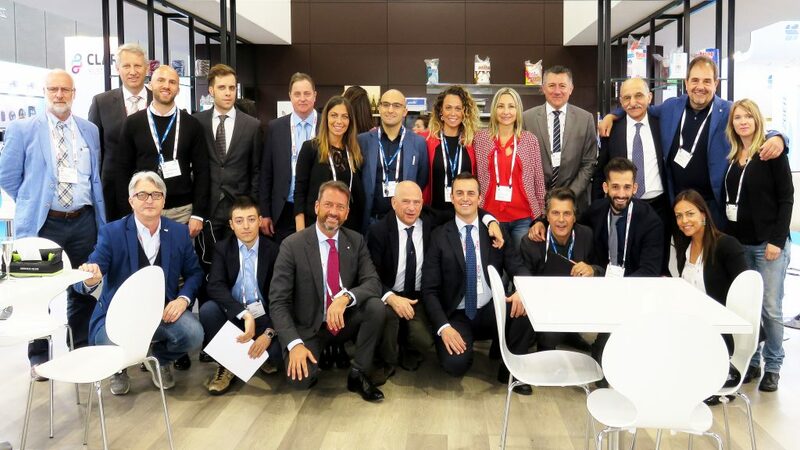 The whole team of Industrie Celtex around the CEO Andrea Bernacchi thanks all the visitors, customers, distributors and partners for their visit at the Interclean 2018 and for the interesting exchanges of experience at our common stand. Thank you for your time, for your keen interest in our products and for your trust in us. We always answer with pleasure your questions and process your requests in a competent and quick way. We look forward to seeing you again in Amsterdam, or else at one of the next national or international exhibitions. The personal and direct contact represents for us a precious basis in order to follow up the customers´ wishes and to implement together new projects. Interclean 2018: a huge thank you from the whole team of Industrie Celtex around the CEO Andrea Bernacchi to all the visitors. “Everything a clean world needs”. With this motto, the Interclean exhibition from 15th to 18th May 2018 is receiving more than 30.000 visitors of the international cleaning industry in Amsterdam. Here the “who is who” of the sector will meet. 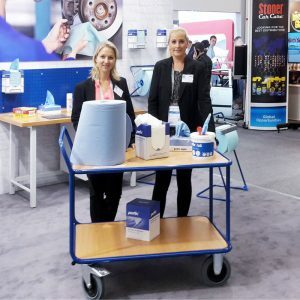 As one of the leading exhibitions for cleaning and hygiene, visiting the Interclean is a “must” for specialists and experts from all over the world. 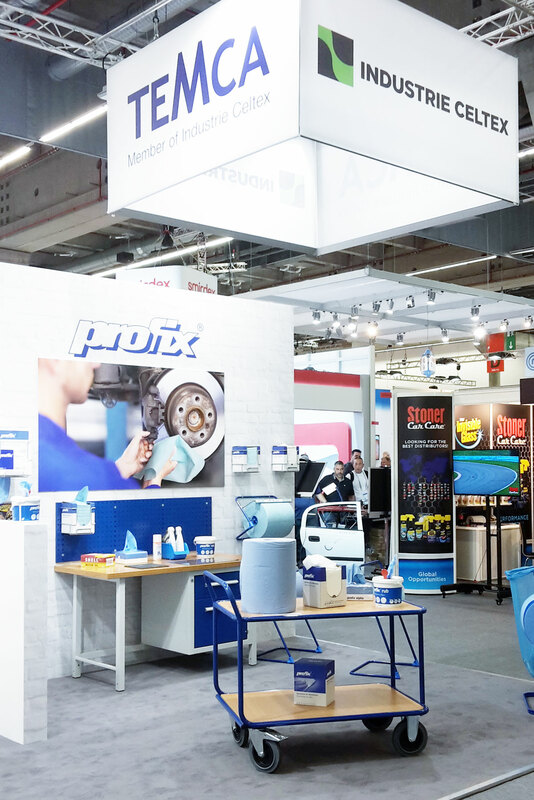 Founded in 1967, the exhibition looks back at a 50 years-old history and enjoys particular prestige in the cleaning business at international level. On an exhibition area of 50.000 m2 with 12 halls, also this year more than 800 exhibitors present themselves in the capital of the Netherlands with their latest products, services and technologies. Over 100 submissions for the prestigious Amsterdam Innovation Award confirm its innovative character. In addition, the great offer for exhibitors is accompanied by a varied framework program, with the InnovationLAB, specialized seminars and interactive workshops. Come and discover new practical helps and smart solutions, which will make your daily business needs much easier. Visit us at our common stand with Industrie Celtex in the hall 10, stand 211 and get to know our various product world and us. See for yourself the advantages of our newcomers profix alpha, alpha blue, profix sigma and the TEMDEX touchless dispenser directly on site. We look forward to seeing you! 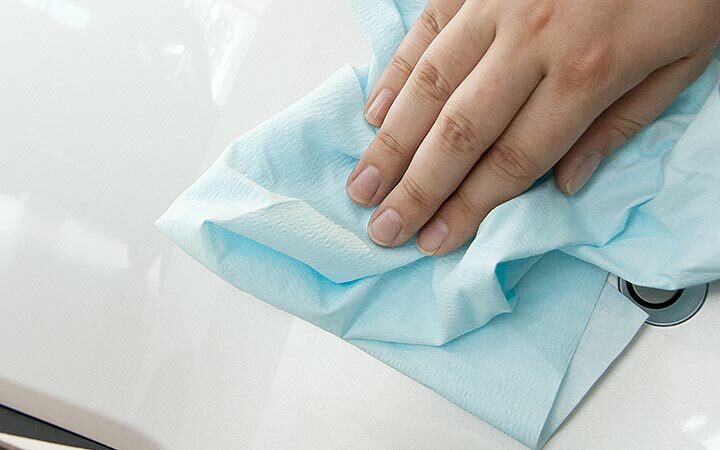 Are you looking for a durable, flexible and reusable cleaning wipe? All these features are included in our newest product: with profix® sigma we are presenting to you a wet-strength, highly absorbent and at the same time low-linting special wipe, which will allow you to save time and money. 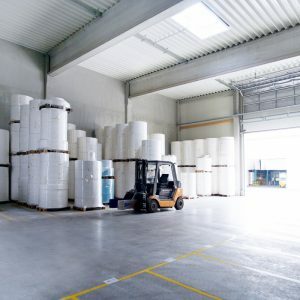 The solvent-resistant wipes are suitable in the paint and varnish industry to clean machines or parts of them, thanks to their absorption capacity. In other words, effective cleaning without any cumbersome post-treatments. 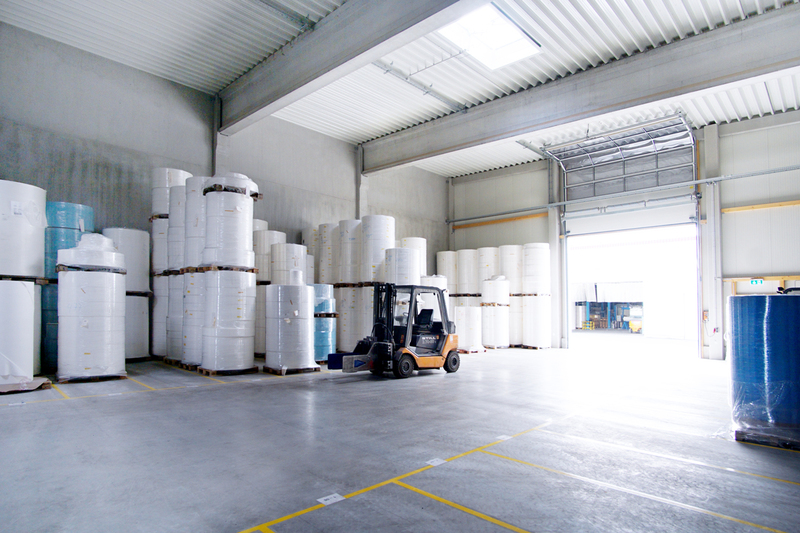 Also in the food processing-sector our wipes provide security. Due to the applied ISEGA certification our cleaning wipes are safe for any direct contact with food. The sigma-products are available both as towels and as rolls. We are pleased to advise you on the use of the special wipes for your personal work-spaces and processes.